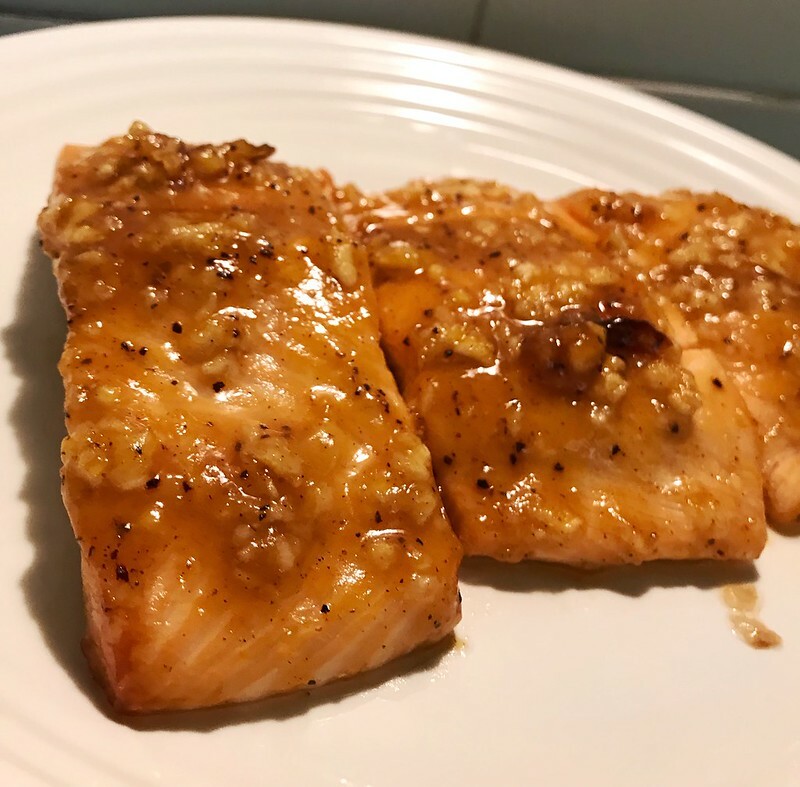 This is my first try on salmon with plum sauce. It turns out not bad. 1. Prepare a salmon fillet around 400 g. I cut it into medium pieces. 2. Sprinkle a little salt and black pepper over it. Only a little salt is needed, because it will be marinated for a while. 4 tbsp plum sauce, 1 tablespoon light soy sauce, 3 minced garlic cloves and 1 tsp minced ginger. 4. Place salmon in a zip bag. Pour the marinade into it. Let salmon rest for 20-30 mins and have a good soak in the sauce. Put salmon on the baking pan. 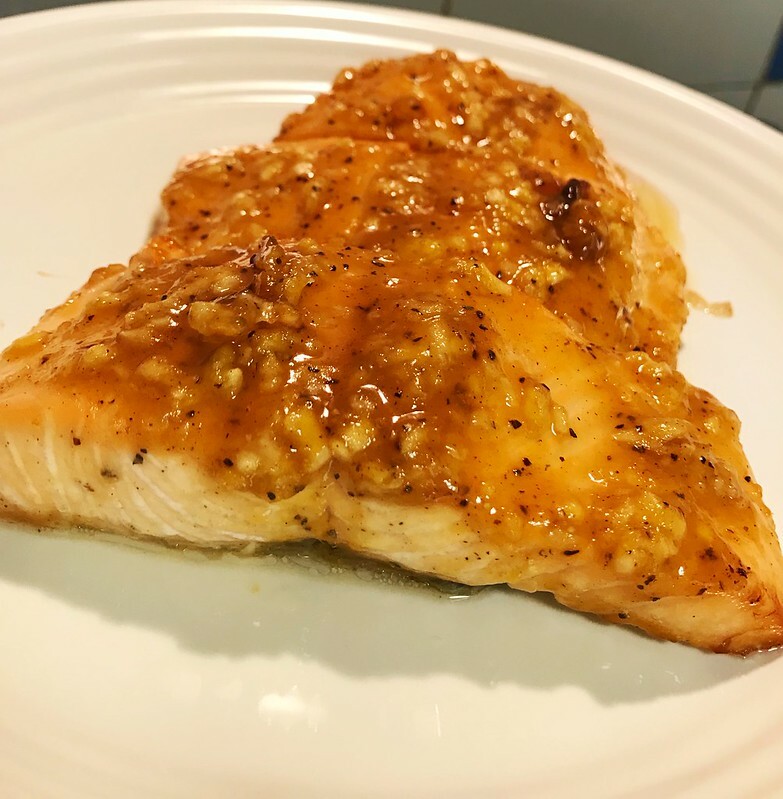 Spread sauce with garlic on salmon. Bake for 20 mins.